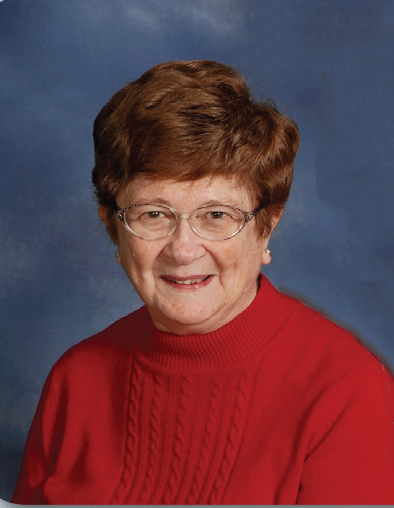 Betty Jane Bruner, 75, of Rockwood went to be with her Lord on Jan. 28, 2019. Born Nov. 28, 1943, she died at Somerset Hospital after losing her battle with leukemia. Loving wife, mother, and grandmother, she is survived by her husband of 53 years, Ronald. Also survived by sons Jeffrey (and wife Stephanie) of Des Moines, IA, and Gregory (and wife Christina) of Anderson, SC; two grandsons Caleb and Isaac of Anderson, SC; sisters Wilma Miller (and husband Marlin) of Shanksville and Barbara (and husband George) of Dumfries, VA; brothers Bernard of Port Charlotte, FL, Wilbur of Altoona, PA, and Donald (and wife Judy) of Charlotte, Hall, MD. Preceded in death by her parents Clifford and Geneva (Felton) Derencin, and sister JoAnn Rossi. A graduate of Somerset Area High School and Elizabethtown College, Betty was a very active member of Grace United Methodist where she sang In the chancel choir, rang in the bell choir, read an inspirational reading most Sundays for the past 15+ years, served on the administrative board, was a member of Women of Grace, and helped manage events such as Italian Nights, craft shows, soup sales, and the church booth at Mt. Craft Days. Betty also was a member of the dulcimer group Chords of Praise. A professional proofreader for several national publishing companies, she and her husband owned and managed Log Haven Bed & Breakfast for 15 years.